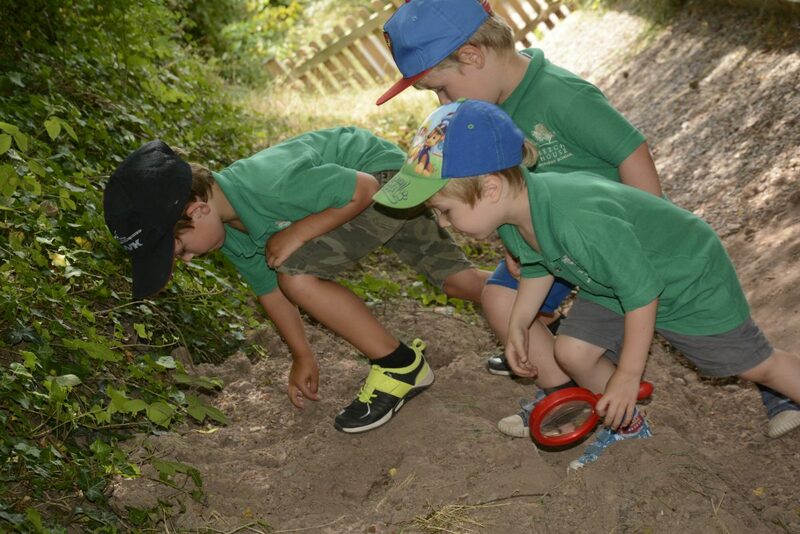 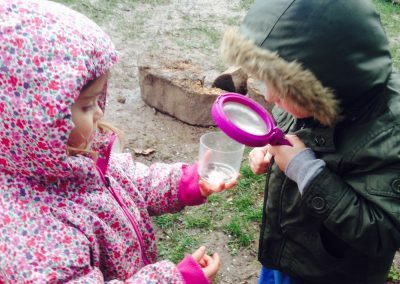 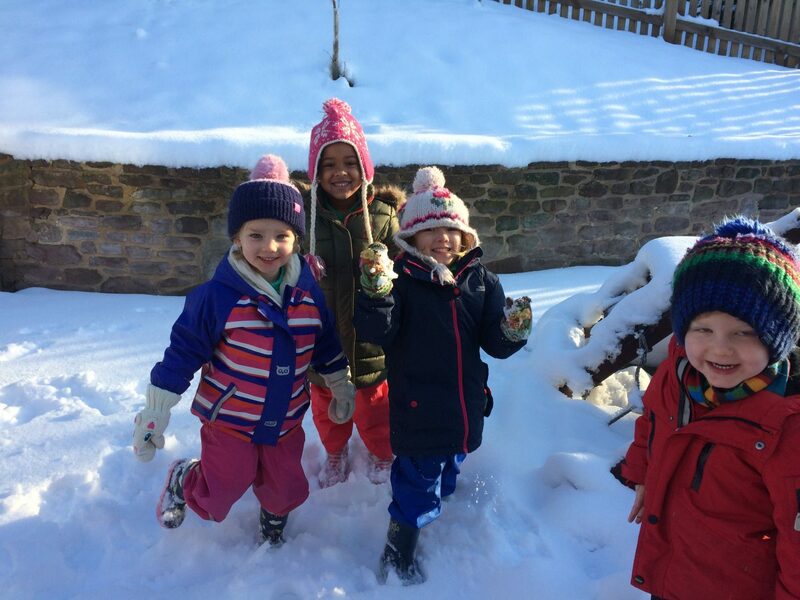 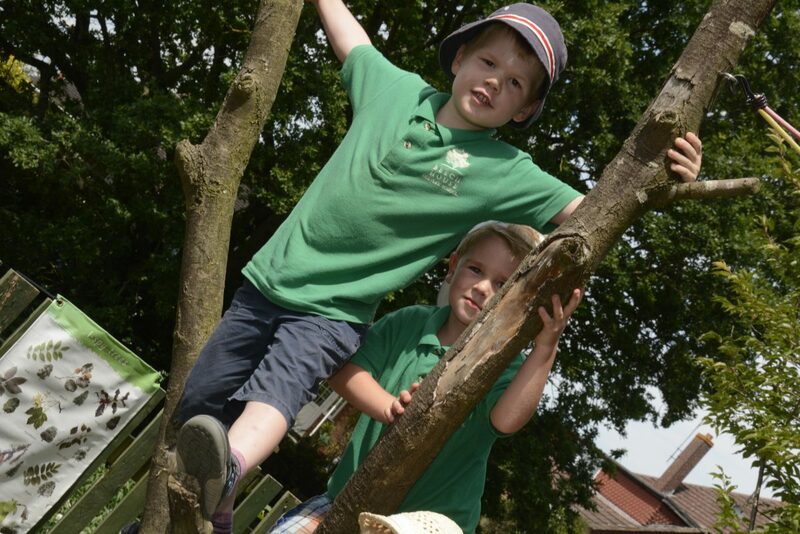 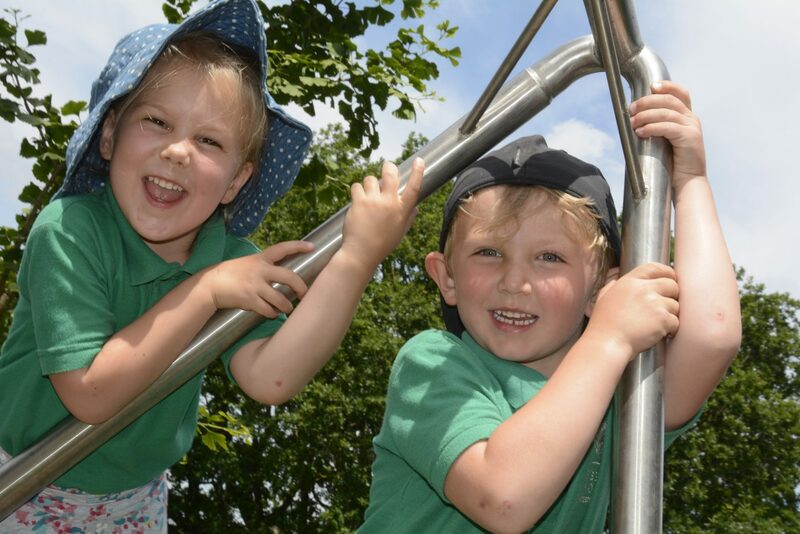 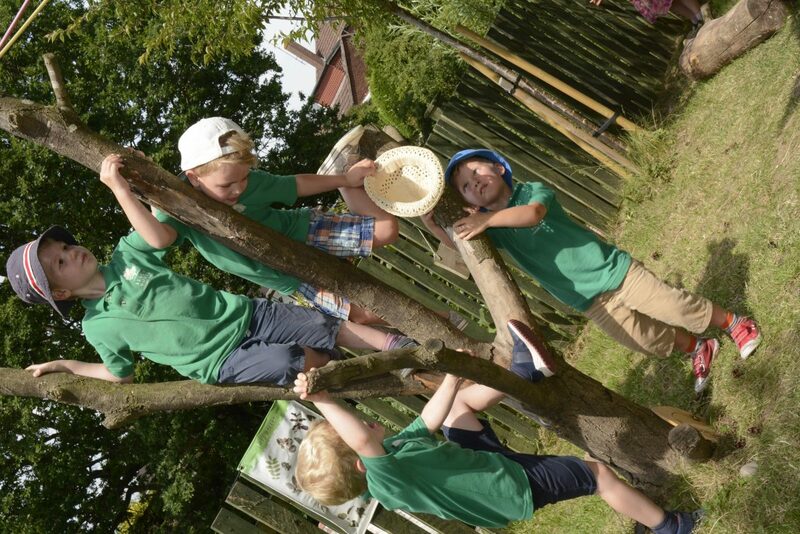 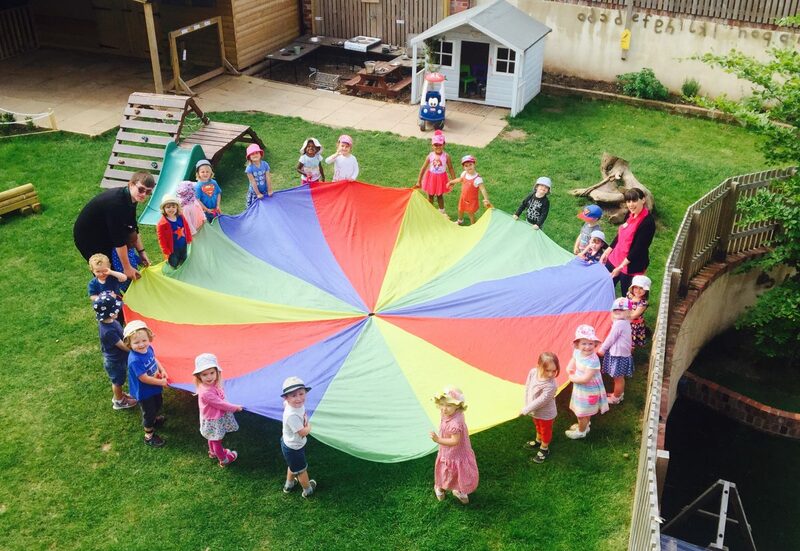 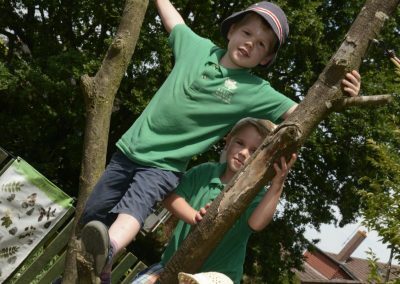 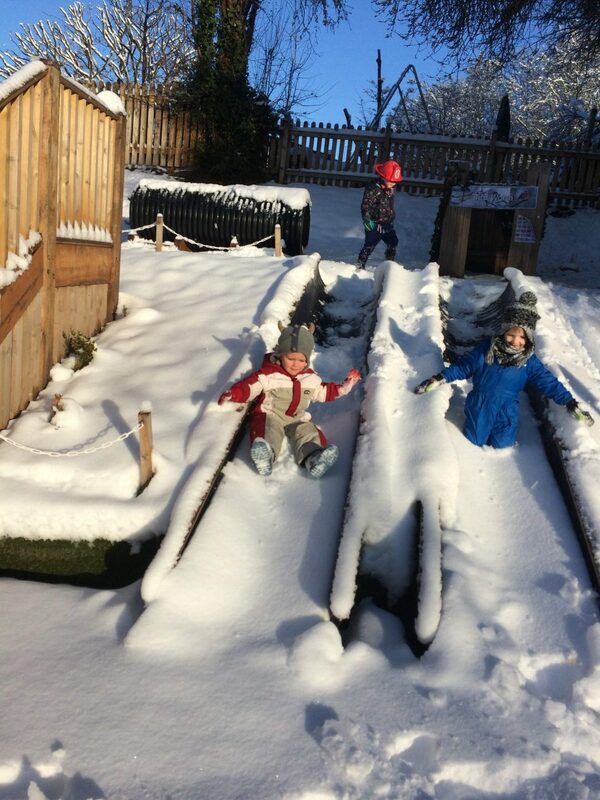 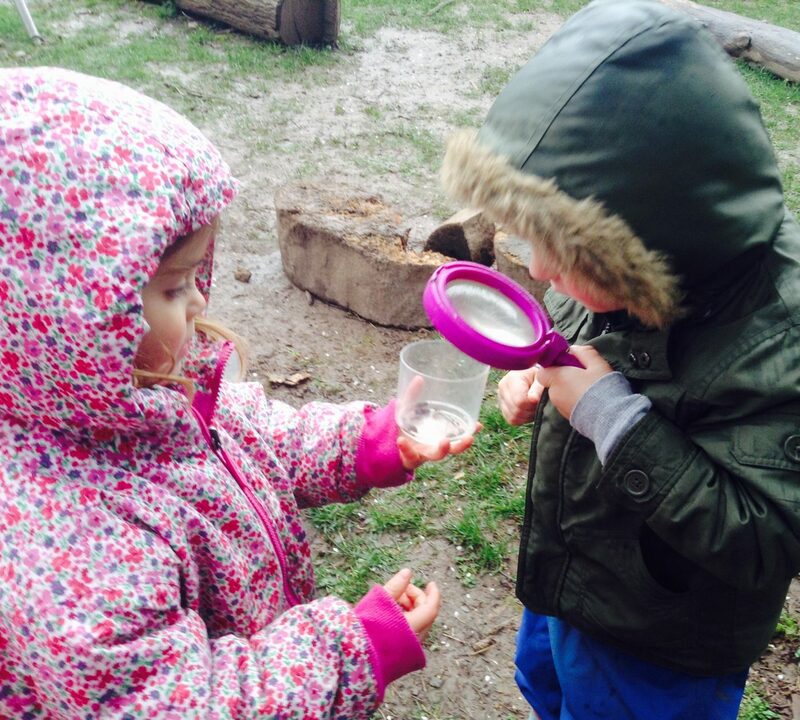 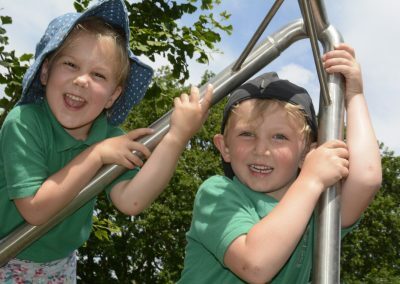 Beech House has lots of varied and exciting different areas for the children to learn through and explore outdoors. 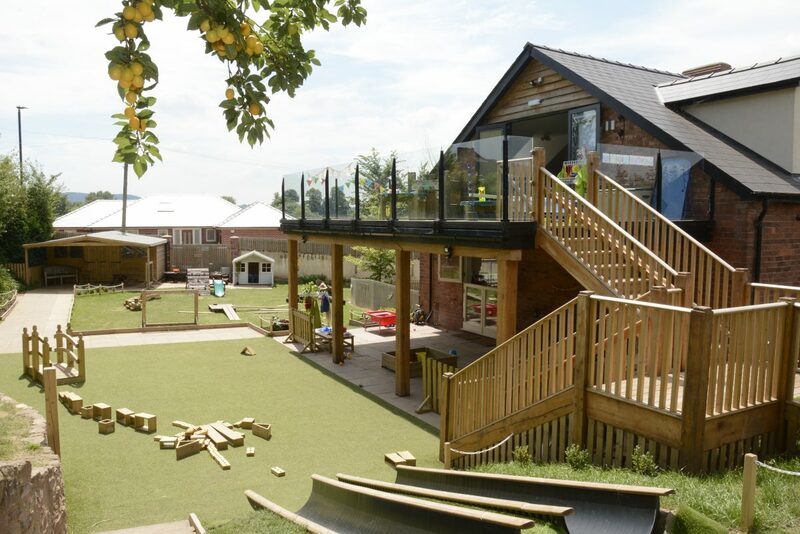 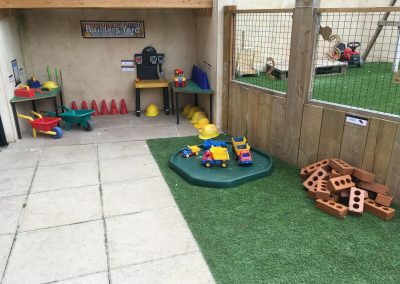 The Gardens at Beech House have been carefully landscaped to provide children with a raft of different play areas and spaces to develop their fine and gross motor skills, as well as use their imaginations. 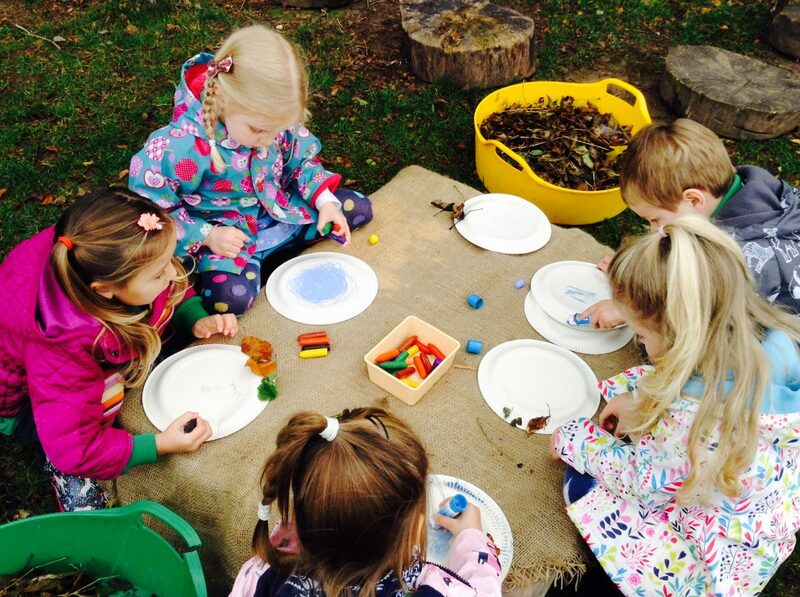 The activities on offer range between focused, directed tasks, and free child-initiated activities. 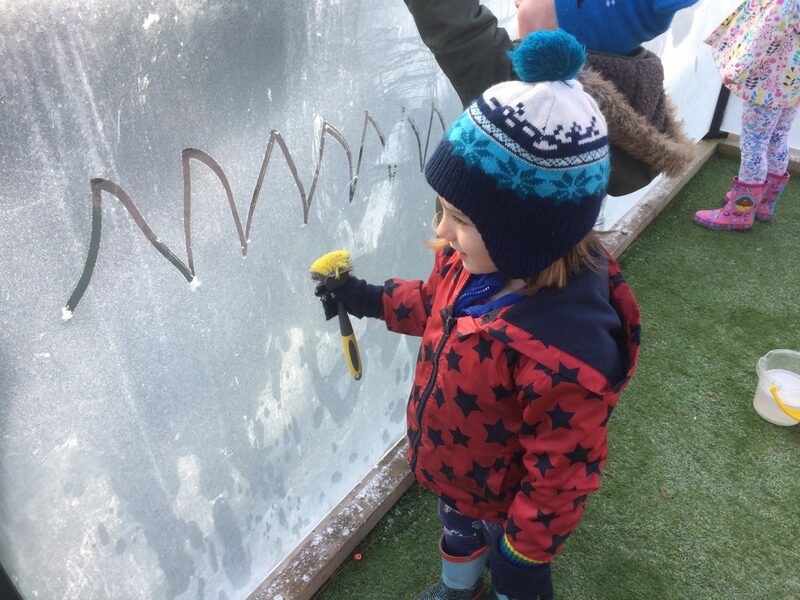 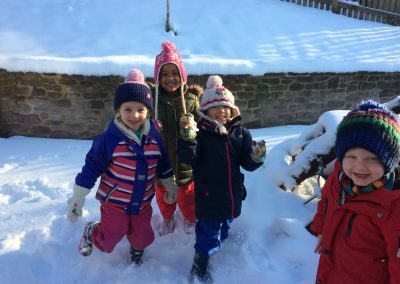 We place great emphasis on Outdoor Play, and the learning that can occur there, and truly believe that all activities should be easily transferable indoors and out. 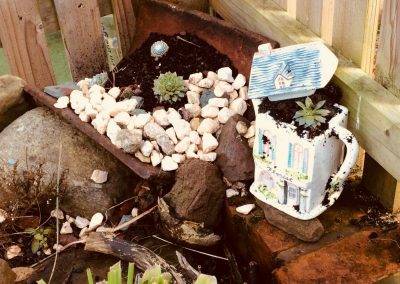 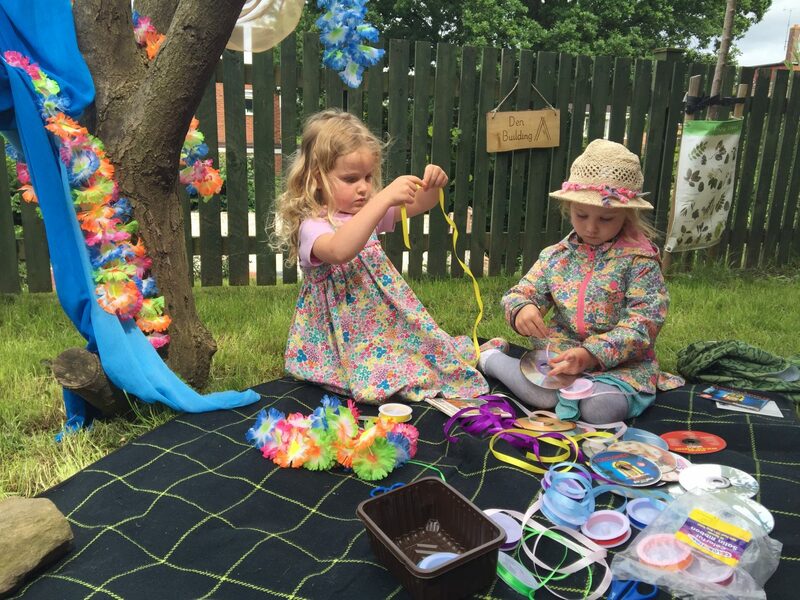 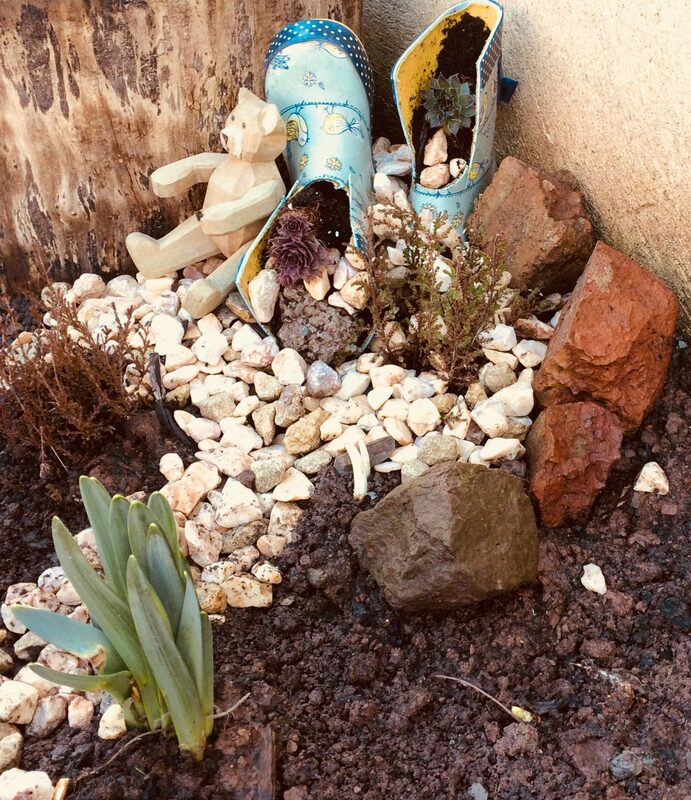 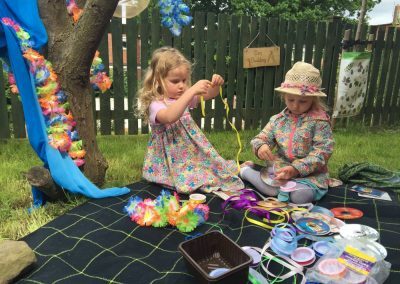 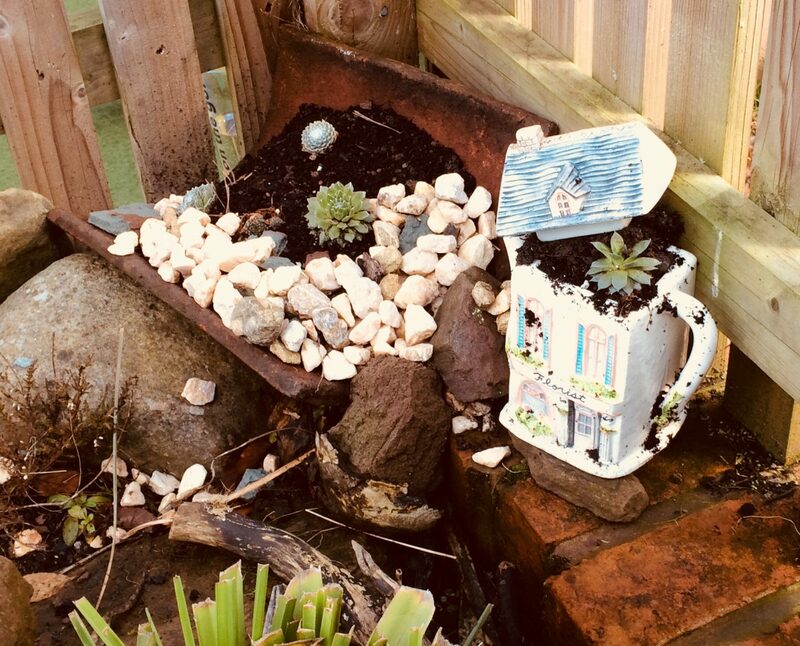 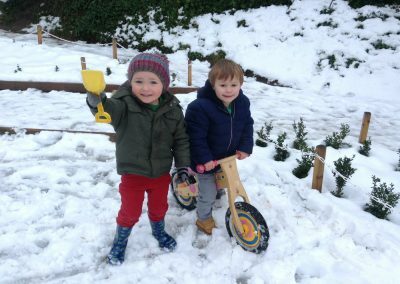 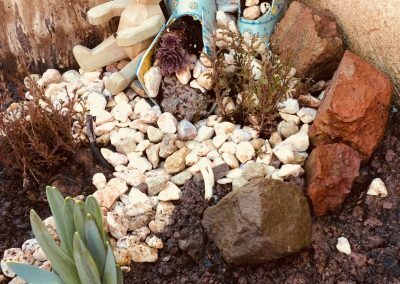 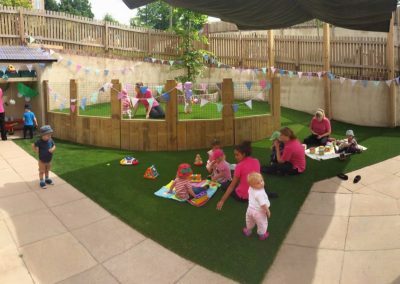 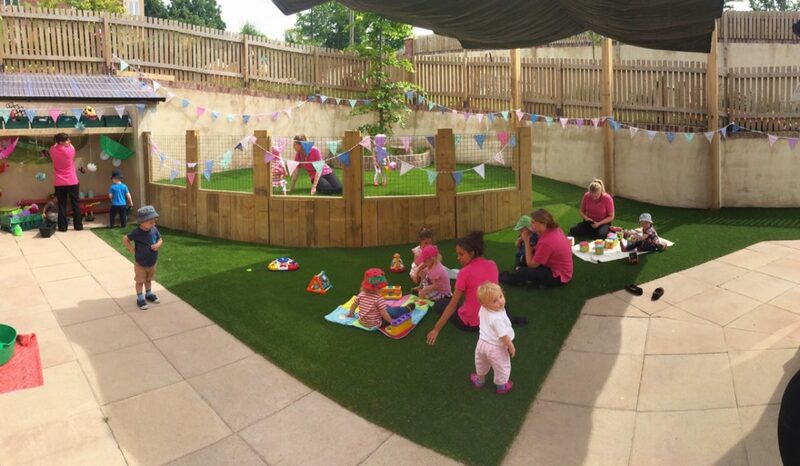 TINIES GARDEN: The Babies and Tiny Tots benefit from their own all-weather garden, to protect them from the slightly more boisterous play from the older children, filled with lots of exciting areas for the little ones to enjoy. 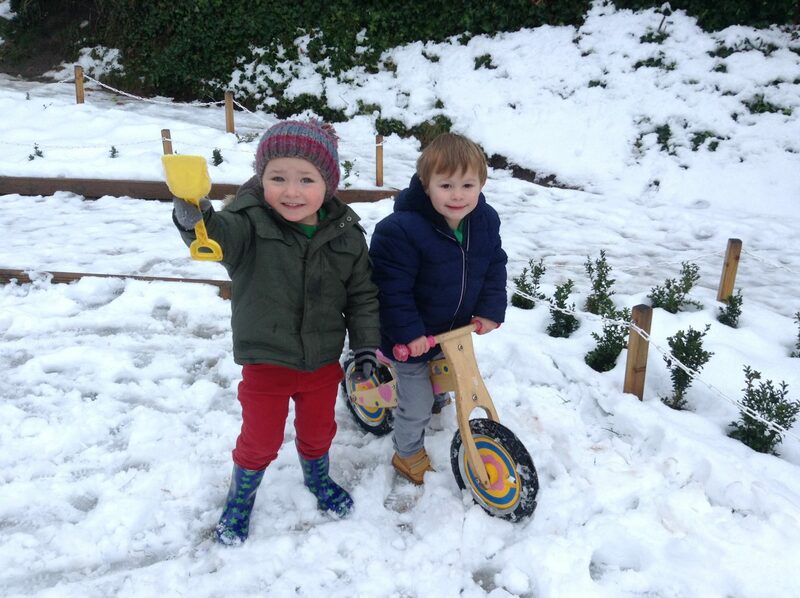 They benefit from warm water outdoor taps, so the children can enjoy water play no matter the weather! 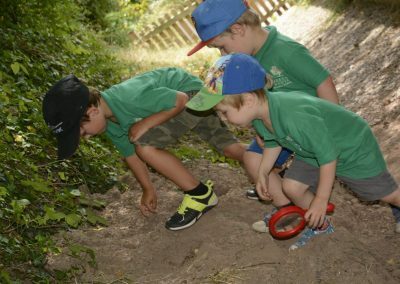 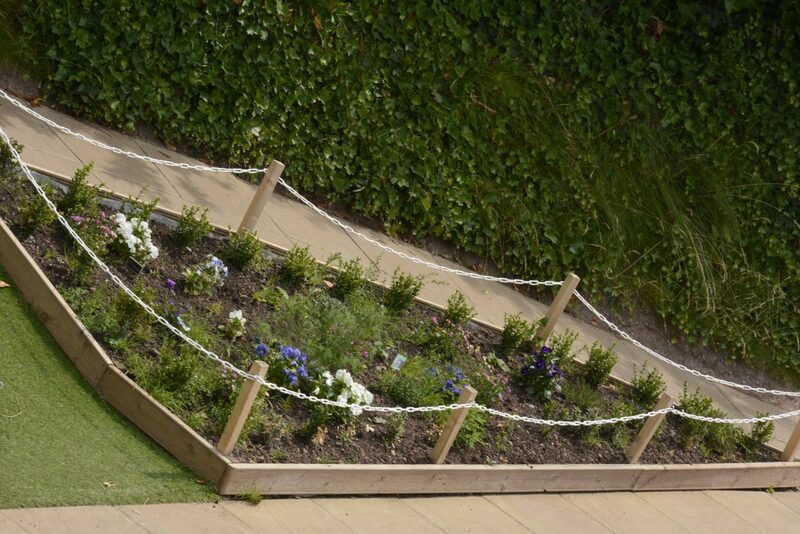 SENSORY PATH: The Tinies garden is linked to the Upper Lawn via a Sensory Path, filled with herbs and exciting plants for the children to touch, see and smell. 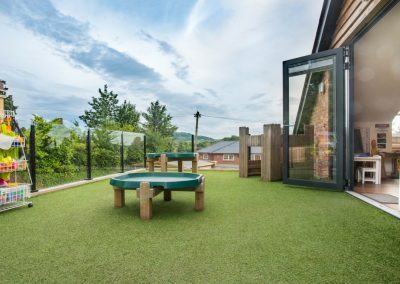 UPPER LAWN: The main lawn has been laid with a mixture of turf and all-weather turf Astro Turf, perfect for little children to enjoy no matter the weather. 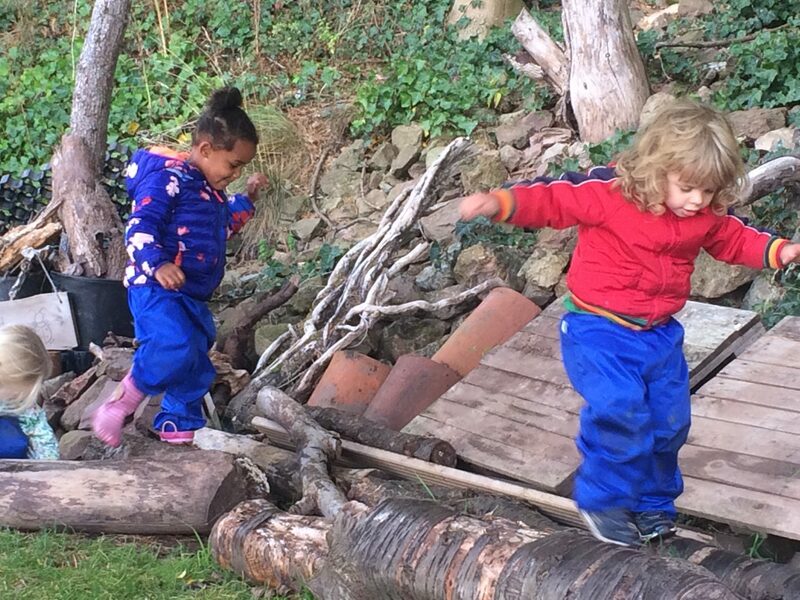 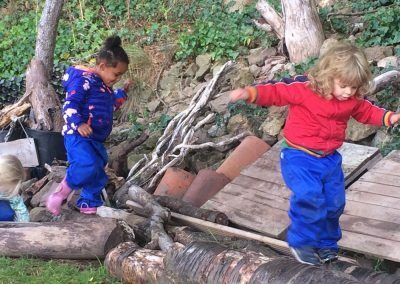 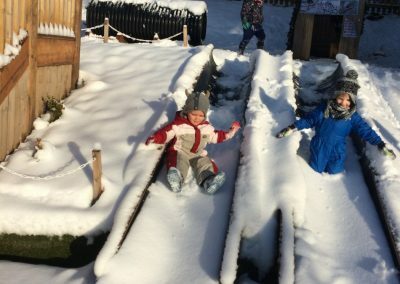 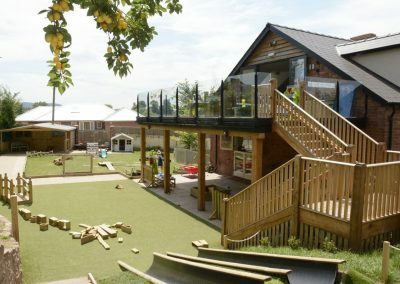 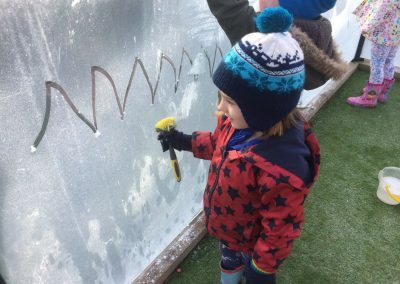 There is a large, paved ‘outdoor classroom’ with sand and water play for the children to enjoy, a ‘stage’ for performances, role play chalet, slides and tunnels, and an exciting mud kitchen. 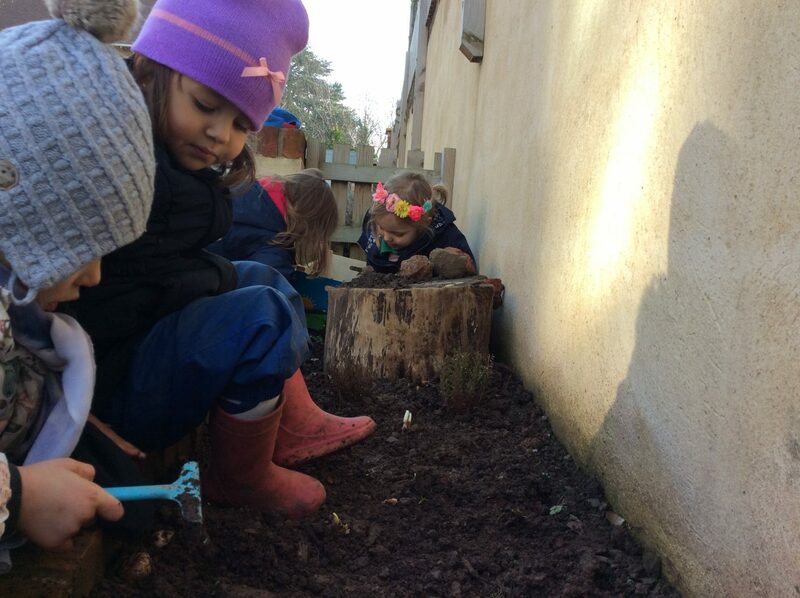 There are also several large planting areas, for the children to grow flowers and vegetables, which they love to ‘harvest’ and help to prepare in the Kitchen. 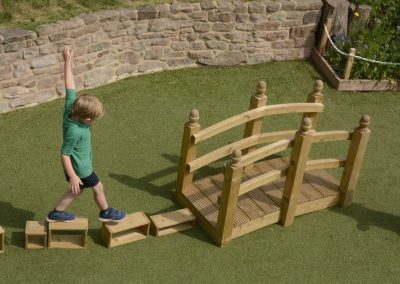 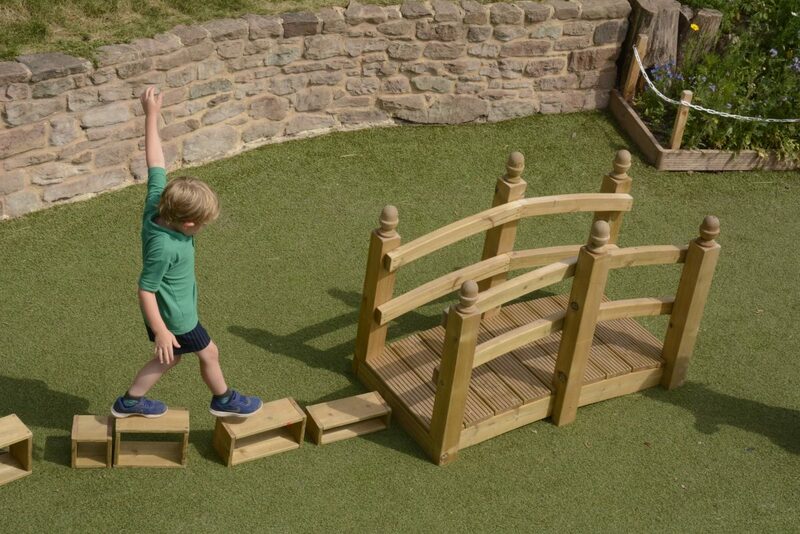 BACK DRIVE: The Gates to the Back Drive are closed from 9.30 until 12.30 each day, providing a different surface and area for the children to experience. 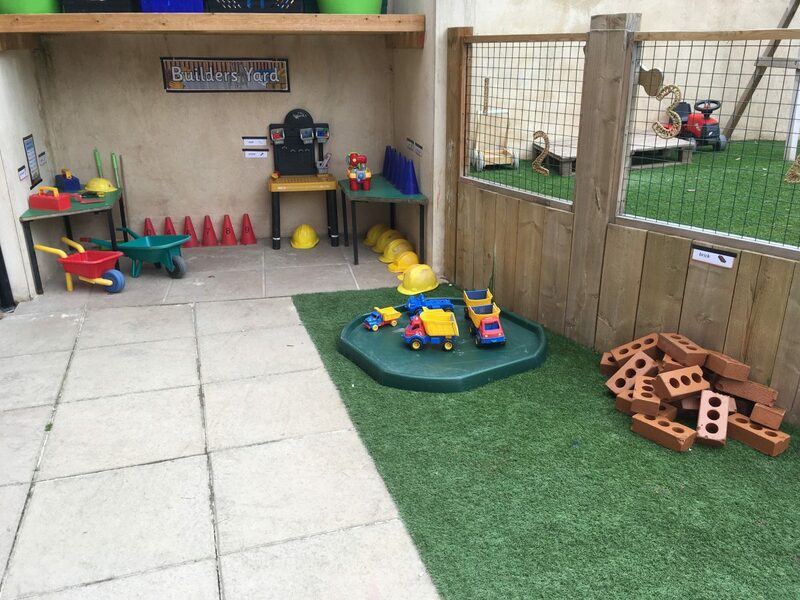 Here, the children enjoy ball games and use the ride-on bikes and trikes. 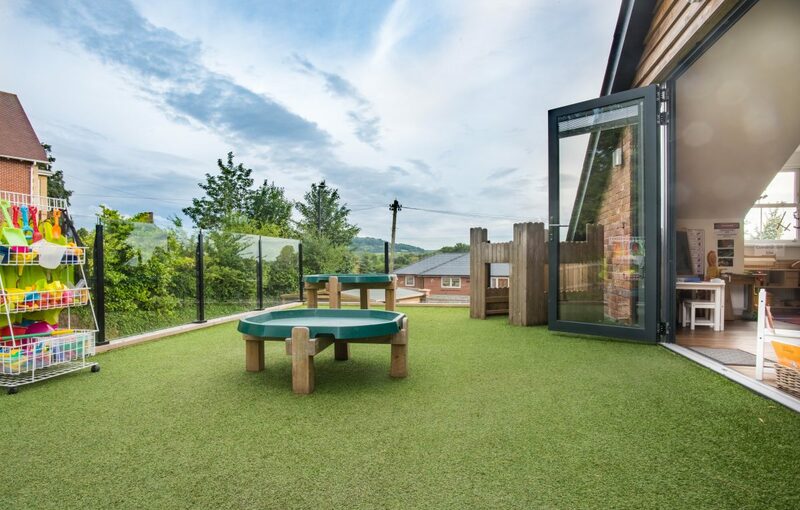 THE SECRET GARDEN: Our natural area sits atop the Upper Lawn, looking down on the rest of the Nursery. 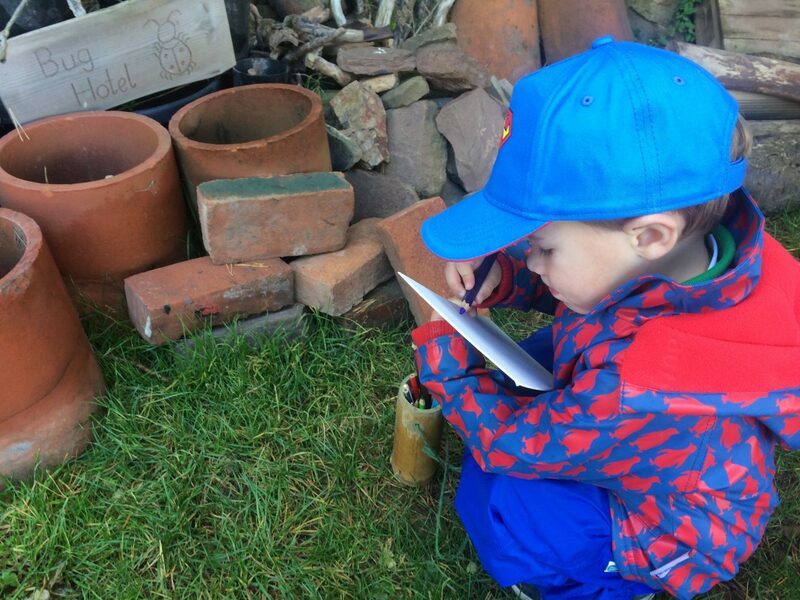 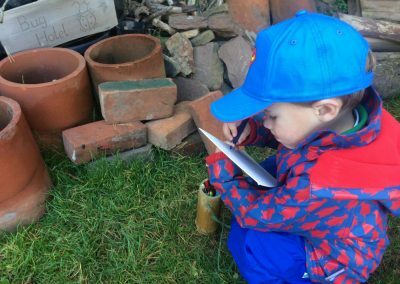 With log circles, fairy doors and a bug hotel, the children can let their imaginations run wild, while growing strawberries and making dens.